From the Men’s tee here on the 13th there’s a long carry over trees to the fairway – or, a well-directed drive might make it through the gap, flying directly over the Ladies tee which has a big advantage on this hole. 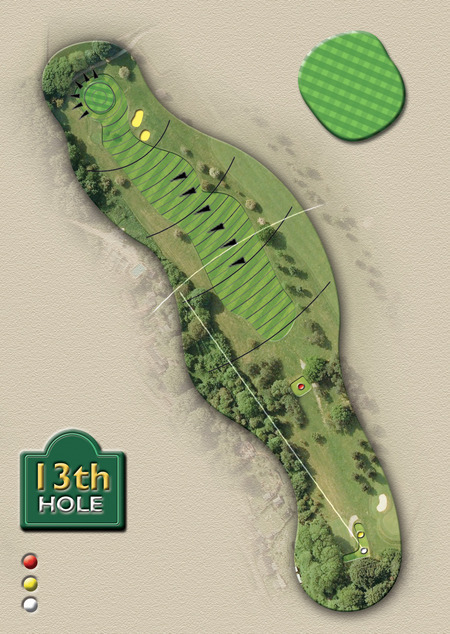 Best to land your drive on the right-hand side of the fairway as everything slopes from right to left. 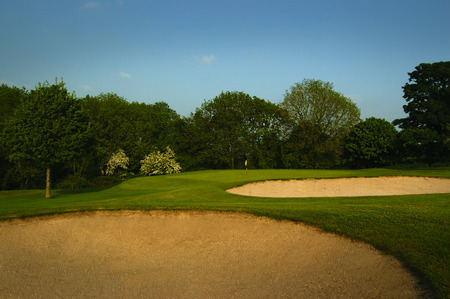 A difficult shot into the green – probably from a sloping lie - with 2 bunkers on the right and a tree on the left.